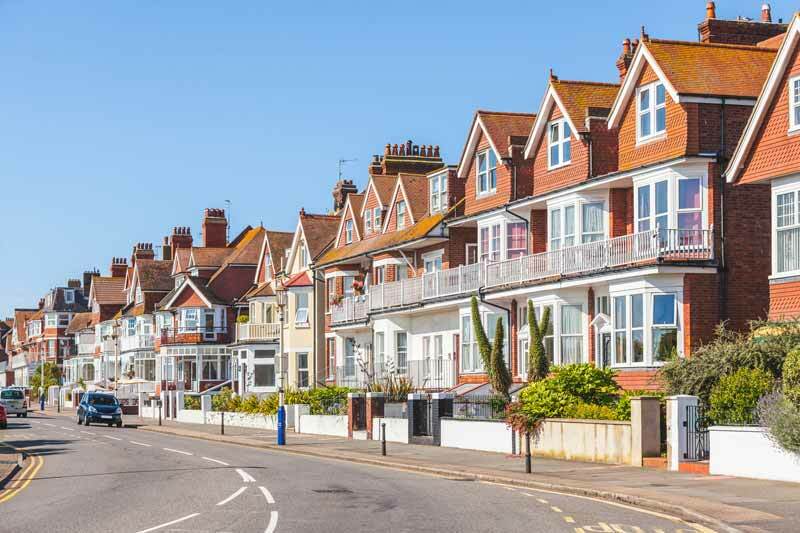 British house prices rose moderately again in September, extending the period of slow growth that’s cooled the market since the EU Referendum vote two years, according to a report from mortgage lender Nationwide. House prices across the UK were up a modest 2% from September 2017, to an average of £214,922. This is the same year-on-year growth registered in August and matched the slowest rate of growth for five years. Prices grew 0.3% from August to September this year. The slow rate of growth is expected to continue, as inflation continues to outpace wage growth and concerns about Brexit negotiations and the UK’s economic fortunes outside of the EU dampen the market. Prior to the EU referendum in June 2016, house prices were rising around 5% each year. Since then year-on-year growth rates have remained between 2 and 3%. Nationwide economist Robert Gardner said the flatlining growth indicated there was “little change in the balance between demand and supply in the market” and he didn’t anticipate a rebound in growth this year. Nationwide is projecting just a 1% rise in house prices over the year. “Subdued economic activity and ongoing pressure on household budgets is likely to continue to exert a modest drag on housing market activity and house price growth this year, though borrowing costs are likely to remain low,” Gardner said. “Looking further ahead, much will depend on how broader economic conditions evolve, especially in the labour market, but also with respect to interest rates,” he added. Meanwhile, house prices in London fell for the firth quarter in a row, to an average of £468,544. However, the 0.7% year-on-year drop in the third quarter is less steep than the 1.9% decline registered in the second quarter of the year, and prices remain just 3% below their 2017 high and more than 50% higher than they were in 2007. Prices were also 0.3% down in the Outer Metropolitan area surrounding London. House price growth varied regionally, with the weakest growth registered in the North, where prices, already in the cheapest in the UK, tumbled 1.7% from September last year. The strongest growth was seen in Yorkshire and Humberside, where house prices increased 5.8% to £160,263. Among the home nations, Northern Ireland performed the best, notching an increased 4.3% growth in house prices. Wales and Scotland both saw slowing growth, of 3.3% and 2.1%, respectively. England continued to perform the worst among the nations, with prices up just 1.4% from last year.